Yamaha Jet Ski Covers, designed to custom fit your WaveRunner. Covering your Yamaha Jet Ski is the first step towards preserving its value and sleek looks! When you pick CoversDirect® for your jet ski cover purchase, you know you are choosing from some of the finest products available in the industry to protect your craft. Offering Yamaha PWC covers from three different manufacturers, we are sure to have the exact product to meet your specifications. Covercraft custom PWC covers are the best choice for a consumer who desires a perfect fit. These covers are made to fit very tightly so they hug every curve of your jet ski, and they are ideal for trailering. The heavy duty multi-strand shock cord which is encased within the cover's hem allows for easy installation and removal. Need to fill up the gas tank? No problem- you don't even have to remove the cover, just unzip the gap cap access panel. Reflexite reflective safety strips are sewn into the cover as an added safety measure- these give an added warning notice when your watercraft is moored or on a trailer. Covercraft offers these covers in Sunbrella, which has been considered one of the leading materials in the marine industry for decades. 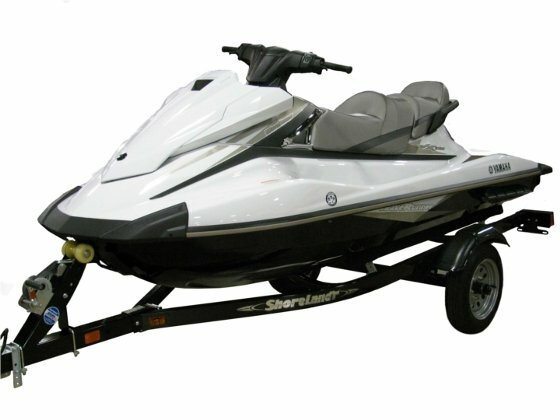 Westland custom covers are available for multiple Yamaha models such as the Wave Runner, Super Jet and Wave Raider. Since these covers are crafted specifically for each model, they will provide a precise fit. With warranties ranging from 3-10 years, you can be confident that you are not just buying a durable cover, but also a promise of quality. Westland's jet ski covers feature a heavy duty shock cord sewn in the hem as well, to snug against the craft. They are available in top of the line materials such as Sunbrella and Sharkskin. In addition to the custom covers we offer from both Covercraft and Westland Industries, we also offer a styled to fit option from Carver Industries. These covers are patterned based off your unit's overall length, width and height dimensions. Available in six sizes, Carver Industries jet ski covers will provide a snug fit while still being very easy to install. A quarter inch shock cord comes sewn into the hem of these covers to make for a tight fit, and the loops which are also sewn into the hem come with the needed tie downs for securely storing or trailering your watercraft. Carver covers are all Made in America! Sold in marine grade fabrics such as Sun-DURA and PolyGuard, these covers are highly water repellent while still offering excellent breathability.